Who Should Get My Vote for Congress? Wherever a river bisects populated areas, adequate transportation between both banks is critical. Nowhere is this more evident than in the Christie administration’s failure to alleviate the congestion across the Hudson River into Manhattan. But Burlington County has its own, albeit smaller, crisis where the Rancocas Creek cuts across the county. 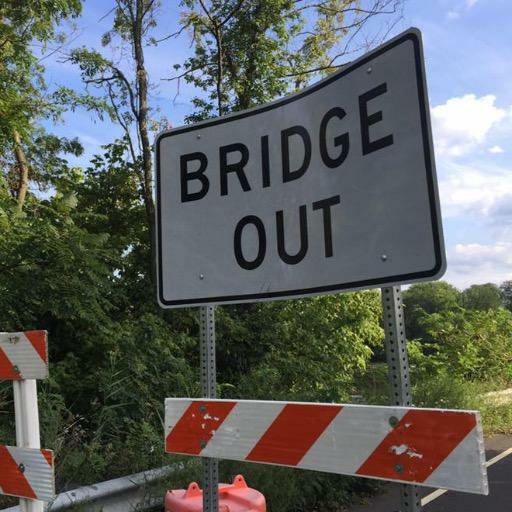 This crumbling bridge is not the only one in New Jersey that needs attention. But there’s more to this. The community of Willingboro is heavily Democratic and has a large African-American population. The freeholders or governor can garner very few Republican votes by providing Willingboro residents with easy access to the numerous destinations across the creek in Mount Laurel and Moorestown. Tis the season for lists. So here goes. The brightest stars in 2014 include the well-known and the less well known. Some are newcomers and some have been with us for years. Some hold powerful jobs while others convey a powerful message. Go below the fold to celebrate these people and read why they shine brightly. Feel free to add your own stars. There are many more out there.